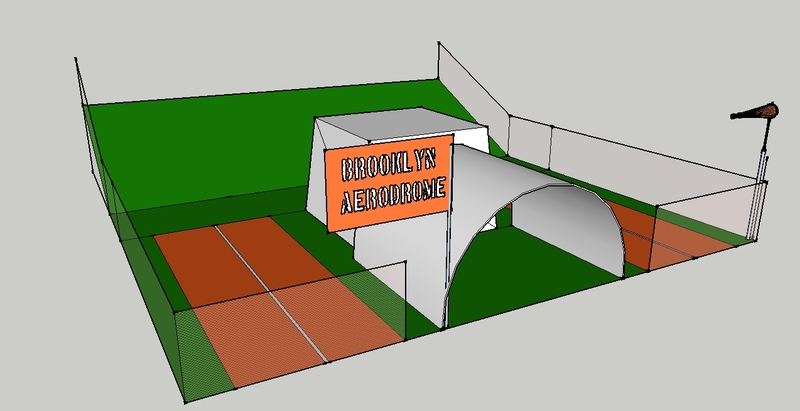 We are moving the blog to our revamped website at brooklynaerodrome.com. The new site has a forum, blog and even a store for spare parts and kits. The other news is that I just received advance copies of the book. Come over to the website and take a gander. Phil Scott, a serious pilot in his own right, did a writeup about our educational programs at Brooklyn Artisan. Breck is using holiday downtime to make an instructional build video for the kits. Behold our tireless founder hard at work despite sniffles and a headcold. Towel #168 Checking In Again! Again, please let us know about your failing, flying and trying. All planes must fly. 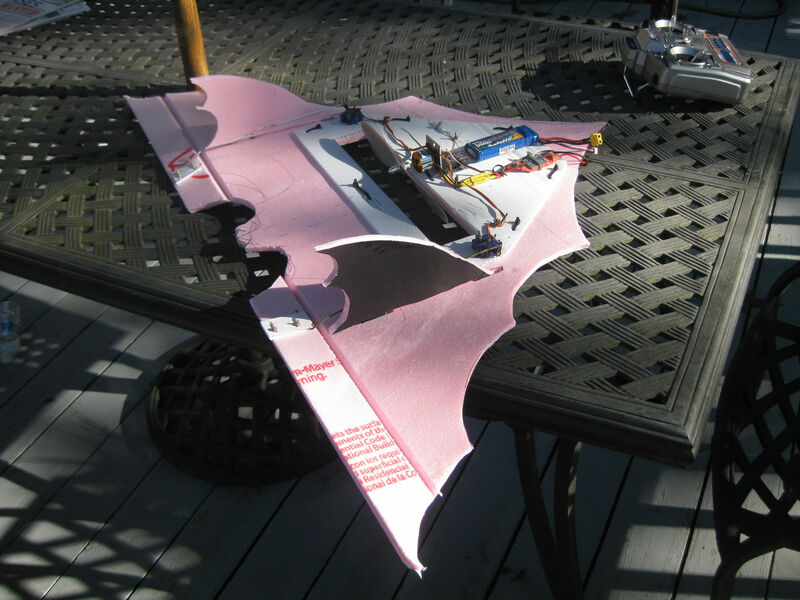 I had a chance to go for a first flight over the Thanksgiving weekend, and it was a success! Of course, there were plenty of crashes as your document guaranteed, but it was surprisingly easy to get used to the controls. Took a few nasty licks but I was airborne again in minutes each time. 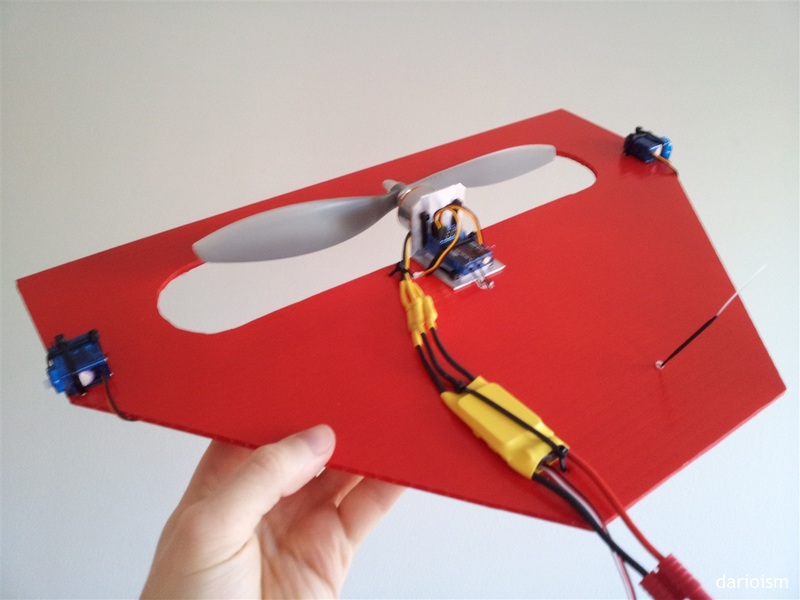 I’m thankful that the kit came with three propellers, ’cause I went through all of them in two days’ time. Still worth it! Thanks again for bringing the Towel to the masses. This is just the beginning! Let me know if there are any flights scheduled soon, or if you need a hand with any classes. Got the following missive via the intertubes….great looking builds. First the pix, then the story from George and his sons out of Stamford, Ct.
“Hey Breck, wanted to share my experiences and some pictures with you. 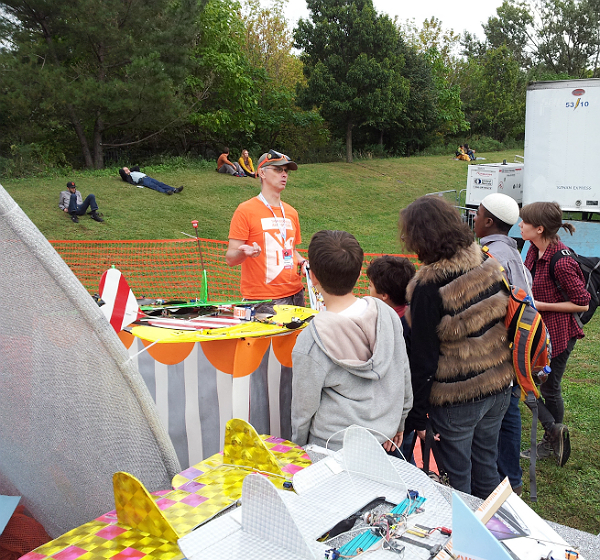 We saw you and Karen at the Mini-Maker Faire in Westport. My imagination was fired up but I wanted to build but I also wanted to build with my two boys 18 and 20. In June school was out and I said to my wife I wanted to start getting the stuff together for a build. She said you can’t do that, we are already getting everything together to surprise you on fathers day. Hats off to Darin from Queens for detailing his experience with the kit. He’s given us great photos and narration and I want to include all of it so keep scrolling! I wanted to check in Towel #168 and share some build details with the group. 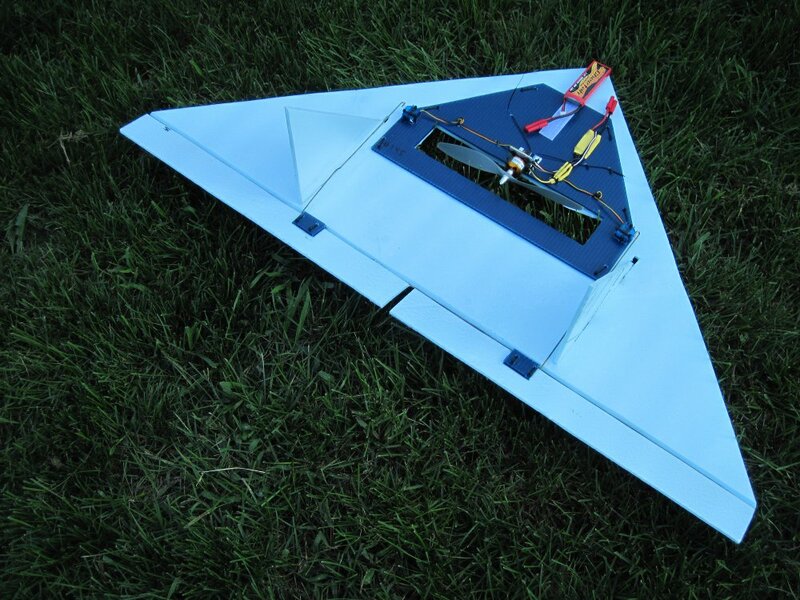 This is the first RC plane I’ve built, and I’m very excited. Saw you guys at last year’s Maker Faire but there was no kit at the time. After seeing the kit at this year’s Faire, I couldn’t resist. 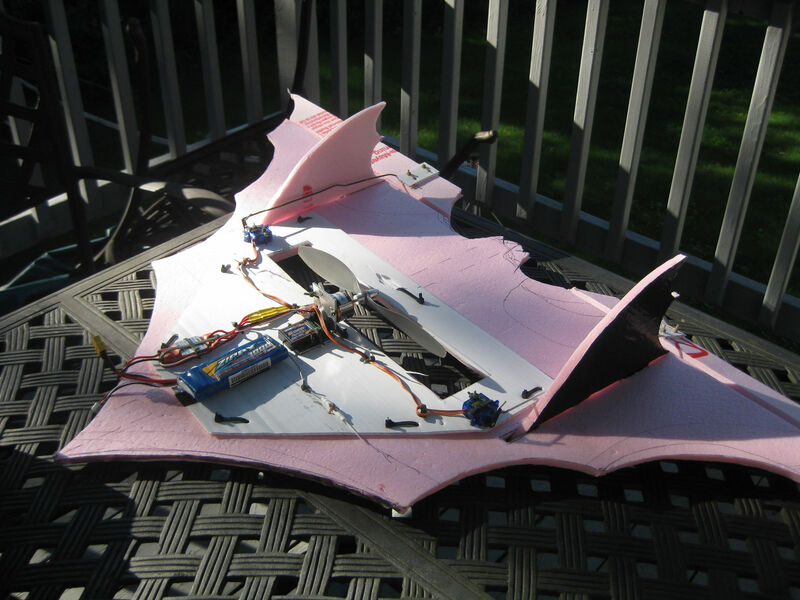 Being that I live in a tiny apartment in NYC, I had some concerns about the portability and storability of an RC aircraft. The biggest change I made to the design was giving the towel the ability to be broken down for transport, taking advantage of the removable deck. A hinge was created at the centerline of the airframe with tape so that the whole thing can be folded in half. 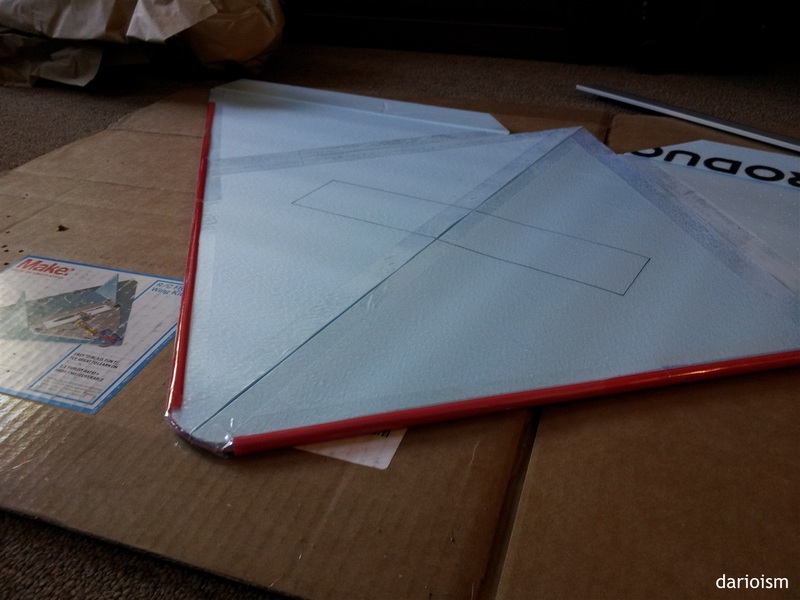 In addition to the deck with zip ties, Velcro strips are used to lock the airframe open for flight. Quite strong. The process of breakdown will cost me 12 zip ties, but oh well. Next build I may attach the entire deck with Velcro. The whole kit can now be bundled up in/on a backpack for fly days. 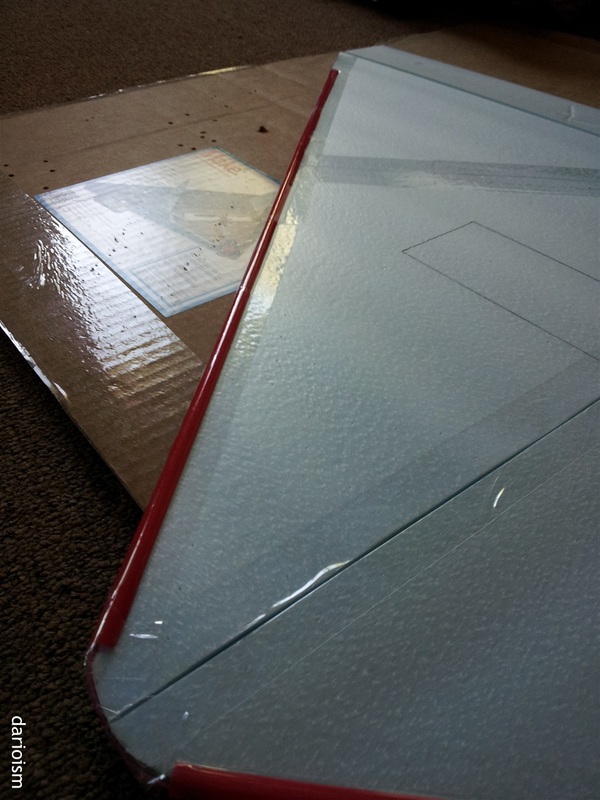 Also used some wide drinking straws to build a leading edge, for aerodynamics and strength. Went with a red color scheme, as this matched the components and leading edge reinforcement, and adds visibility against blue skies. I figure spray paint won’t add much weight. Decided to run the electricals underneath the deck. Might make things tougher to repair, so to solve this issue I just won’t crash. 🙂 Initially ran the servo cables forward through a common hole but they were just too tight and I had concerns about interference with the antennas, so ran them sideways. Also snipped the corners off the motor mount for safety and aesthetics. Receiver is mounted on Velcro for easy removability and a little padding. Single dedicated zip tie holds it in. Wanted to attach the motor mount under the deck, but forgot… The prop hole was cut with rounded corners – a bit rough but just don’t look closely. Complete deck. Left speed controller above for cooling. In videos I watched, the pointy nose was the first thing to go, and I know that curves tend to fare better. Reinforced the nose with hangars. Actually found some purple clothes hangers, which were easier to spray paint red. One of the hangar curves happened to match the nose shape perfectly, so no bending was needed. 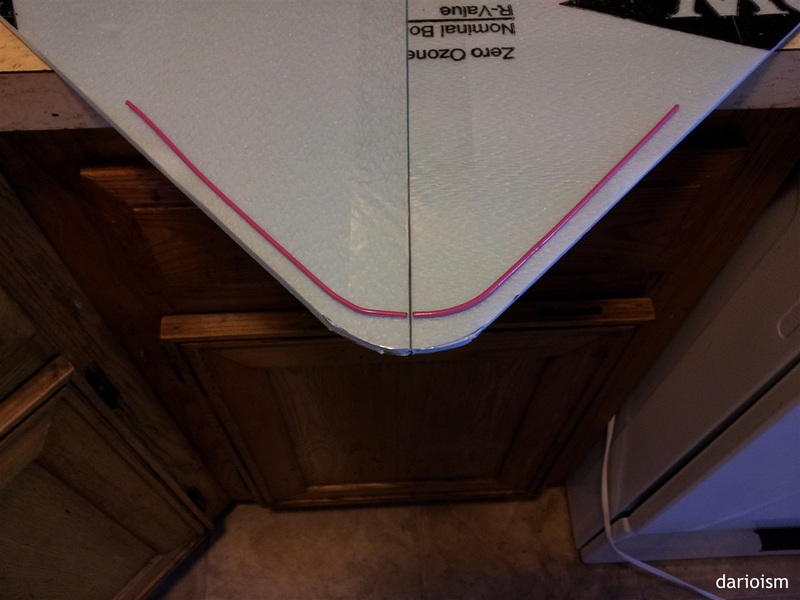 Makeshift jig I had to put together to slot the straws perfectly. (Very difficult without jig). 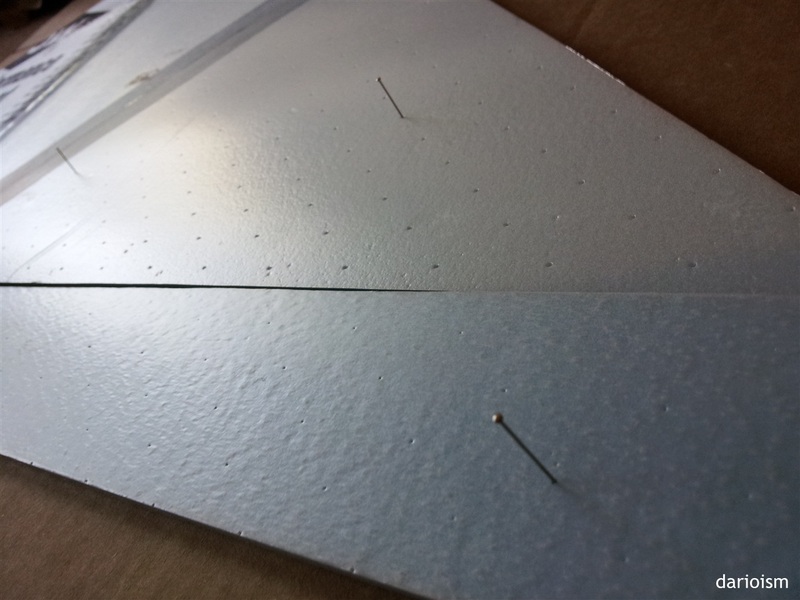 When lining up the elevons for taping, I found that a few straight pins did a great job of holding things right where I wanted. 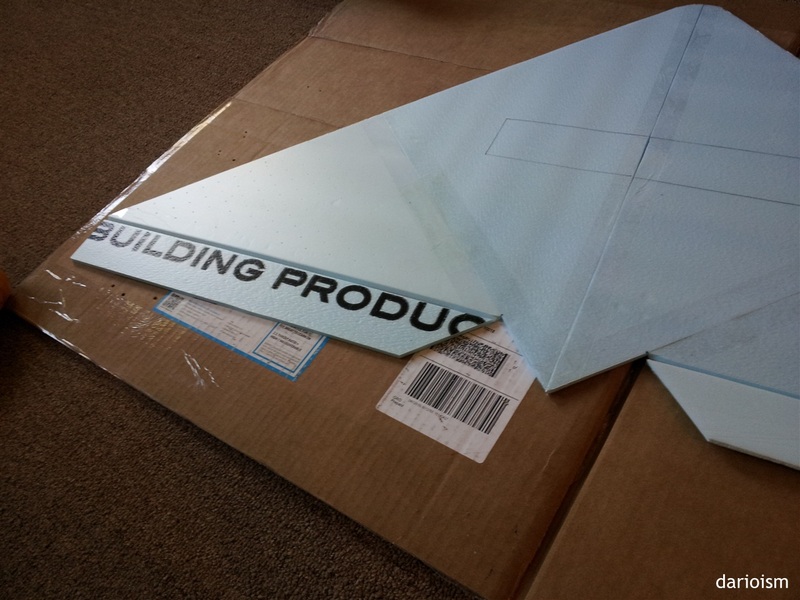 Detail of airframe – you can see that the wings fold downward with no deck attached. The included double-stick tape did not work – the wax paper side did not come off at all. Luckily I had some extra of my own. Had to build my own 12V power supply for the charger. A bit disappointing that this doesn’t come with the kit, considering its completeness otherwise. Found that the control wires rubbed up against the airframe on full extension. Had to cut some ugly slots. Can’t tell from either the videos (which are great) or documentation what my flight time or range is with the Optic 5. 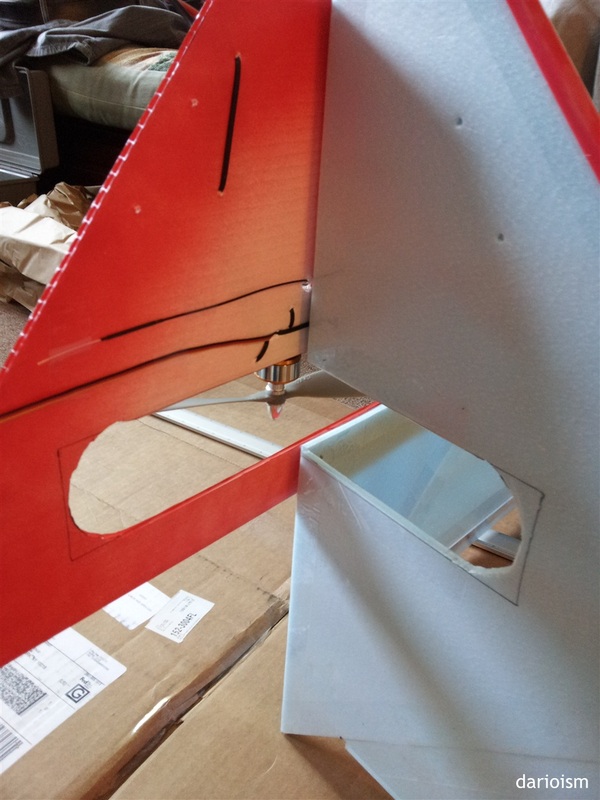 I’m working on an idea to attach skis to the bottom, in order to protect the vertical stabilizer mounts, but didn’t finalize a solution yet which would be strong and still allow for the folding. 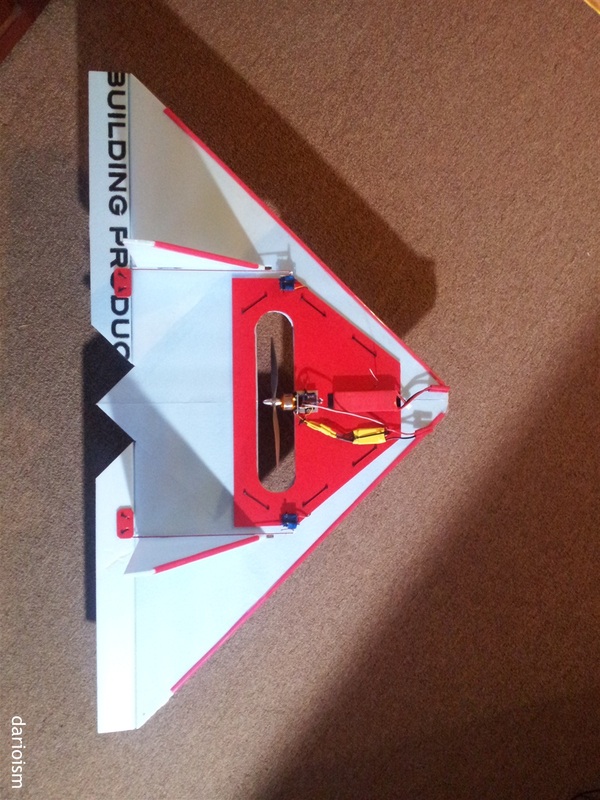 Also plan to figure out a way to use the rudder or landing gear control to light some LEDs for night flying. Someday. 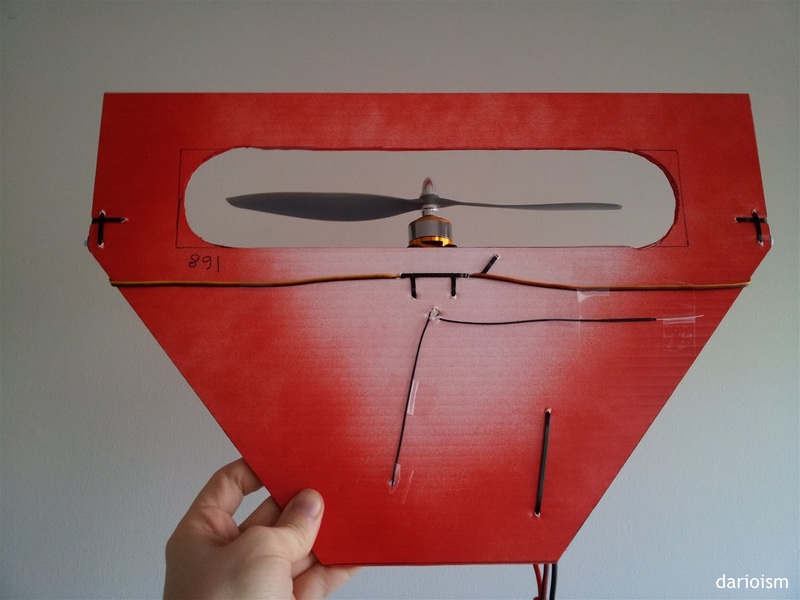 Thanks to Brooklyn Aerodrome for making a simple and affordable kit for beginners! 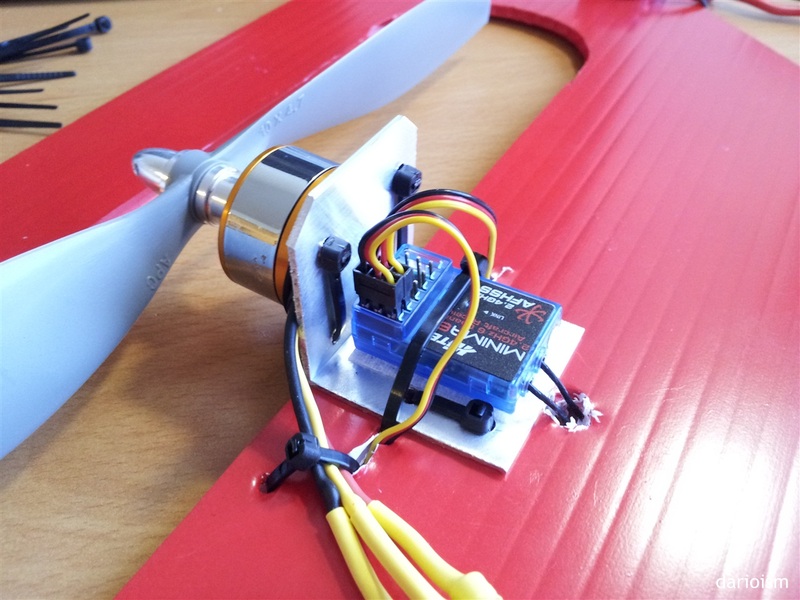 Hope to be able to make it to next week’s fly class to give this thing a maiden flight. It’s aching to be flown! Thanks for the report and detail pics of that sweet looking airplane, Darin. Commentary will be forthcoming. We are currently in class (!). but wanted to get this up where people could see it asap. 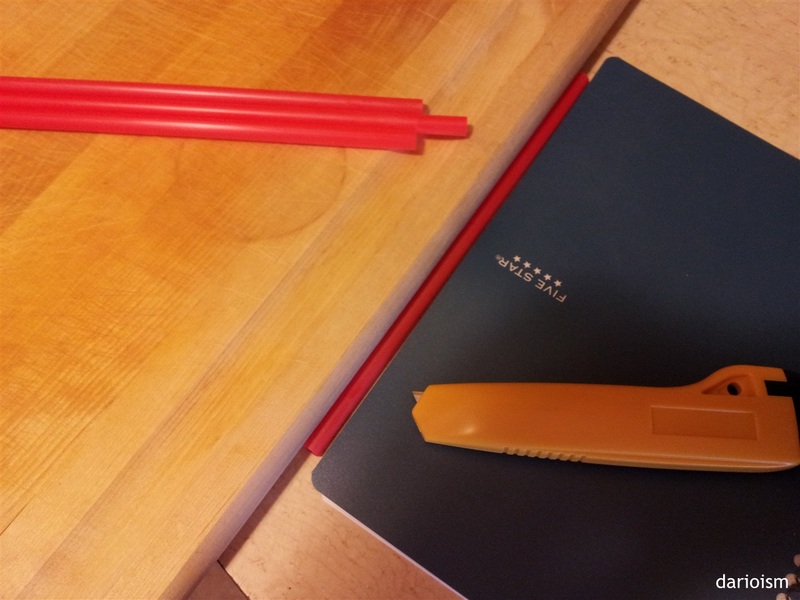 includes handling exactos, soldering and working with varied materials. Product photography experience a big plus. take one home and get an intern credit in the book. 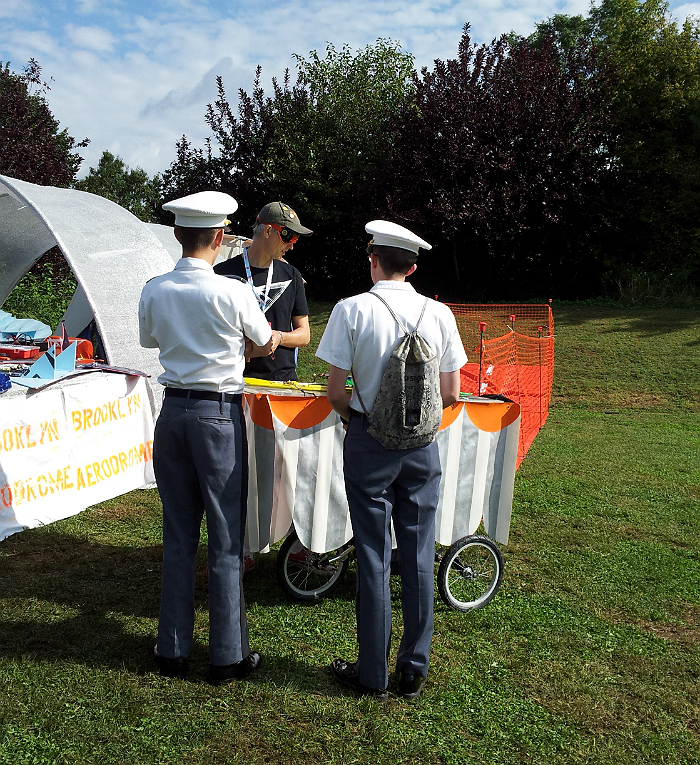 https://brooklynaerodrome.wordpress.com for more about us. Please contact breck@brooklynaerodrome.com with a resume. Every new successful build post makes me happy. We have 2 of 99 accounted for from the first set of kits. I want them all to fly. Let us know how we can help. BTW we never publicize names or planes without permission. 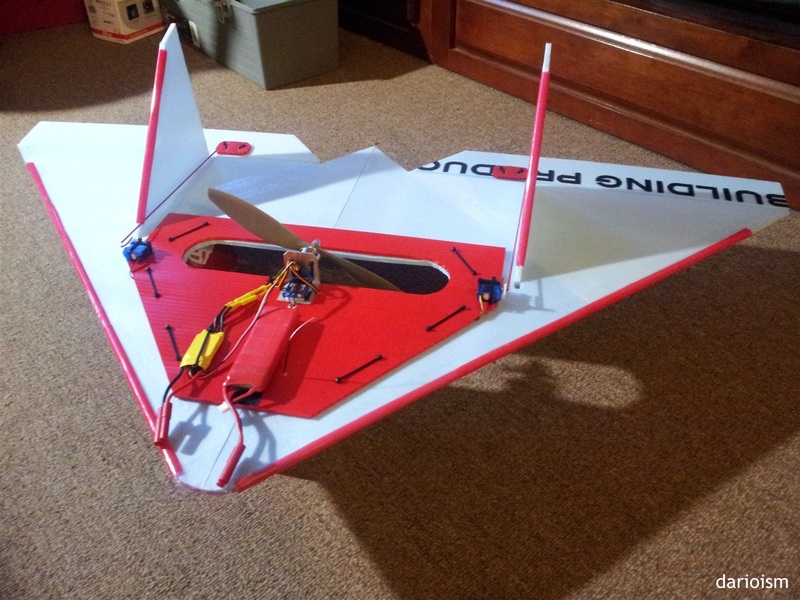 Just wanted to let you know that kit #145 has been built and flies great! 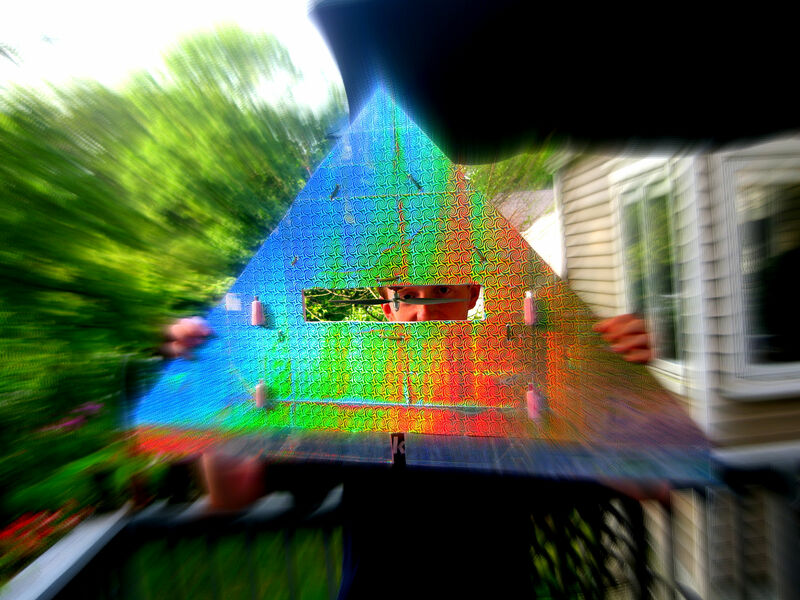 I bought the kit at the Detroit Maker Faire and used your videos to build it. Thank you for putting together a great kit. Thanks to all who came out to see us! Props to Eddie and Kevin who put in serious work at our exhibit – much appreciated! Video of the flapping manta ray, striped heart flyer and banana plane coming up! 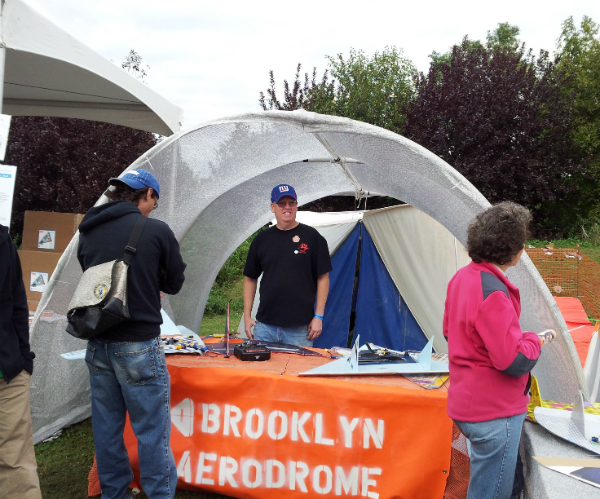 Brooklyn Aerodrome will be holding it down in Zone D at the Maker Faire. Note there are TWO runways surrounding our silver hangar. One of these is the “New Pilot Runway” where some former students and DIYers will show their planes and talk about their experience with the build.